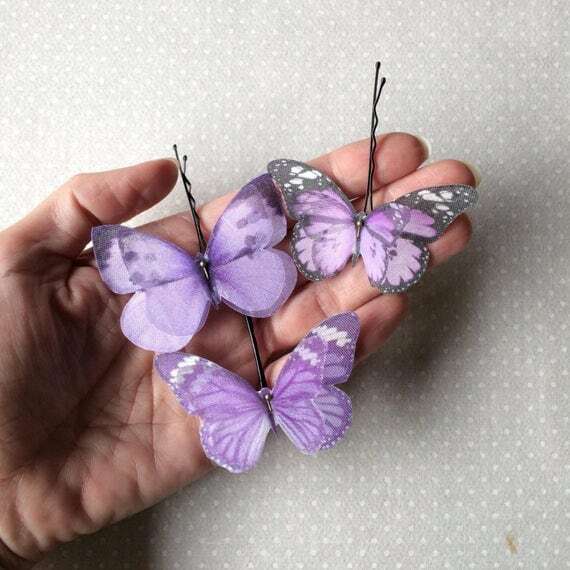 Lovely hand-made bobby pins with Lilac Lavender butterflies. 3 pieces. 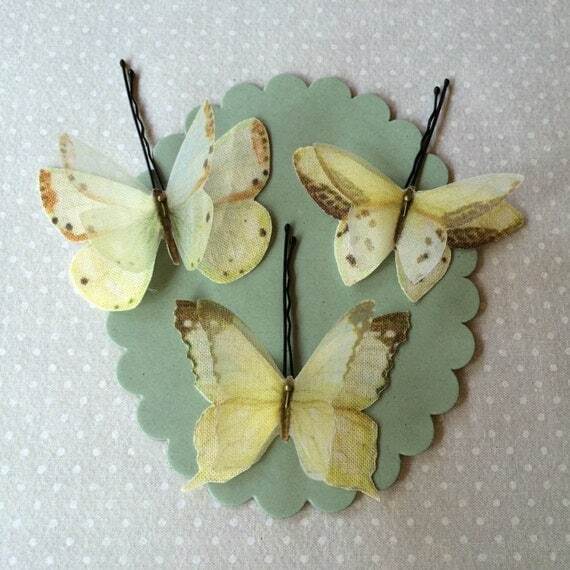 Lovely hand-made bobby pins with PALE GREEN, PALE YELLOW and IVORY butterflies. 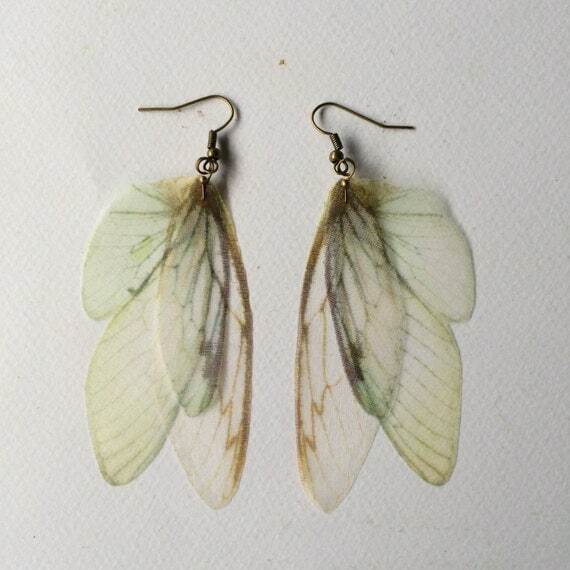 Completely hand-made earrings, with silk organza butterfly, cicada and moth wings. I chose wings images one by one, from real pictures and vintage illustrations. There are 6 wings on these earrings and they measure about 8 x 6 cm. 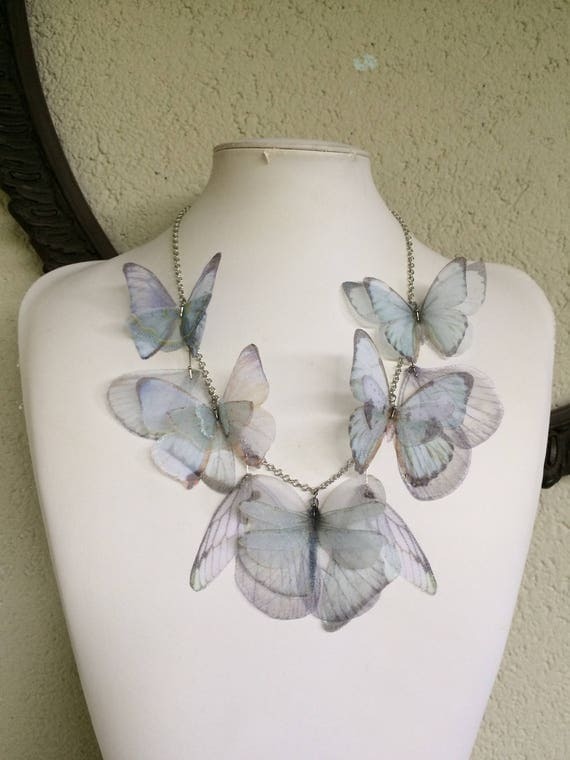 Here you can see the matching necklace https://www.etsy.com/listing/480970237/wings-ivory-pale-blue-and-pale-green?ga_search_query=ivory&ref=shop_items_search_14 for a special wings set! These wings will fly to you with registered tracked airmail by Poste Italiane shipment service. 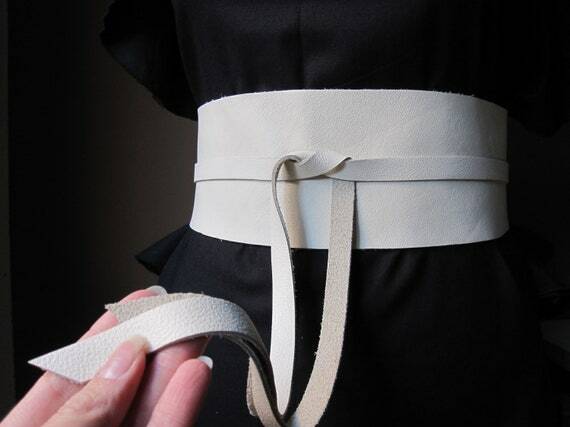 This dress will fly to you with registered tracked airmail by Poste Italiane shipment service. New new new! These butterflies, drangonflies and wings are like glass.. in lovely pale blue and white shades! I chose butterfly images one by one, from real pictures and vintage illustrations. Then I printed them on high quality silk organza, cut, sealed and fixed on chain.